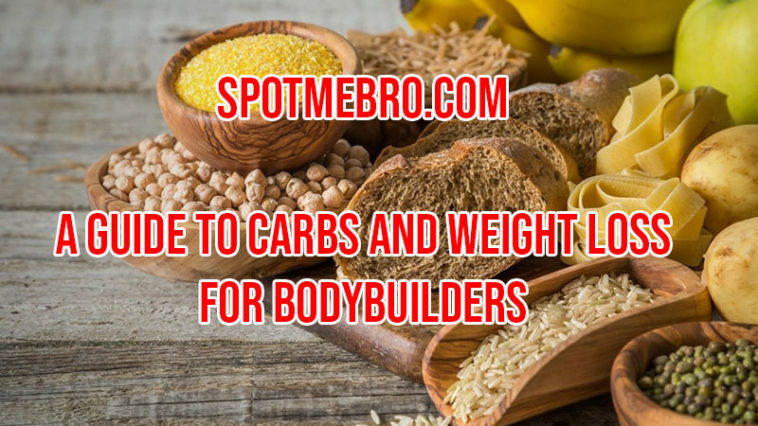 This is the most detailed, comprehensive guide on carbs and weight loss in bodybuilding on the internet. When used as part of an intelligent bodybuilder diet plan, you can use carbs to strip away fat, shred your physique and sail to single digit body fat. You’ll stand on stage peeled, confident and in the shape of your life. In this guide to carbs and weight loss for bodybuilding we strip down the science to shred the fat. Carb function, energy yield, sources and the difference between complex and simple saccharides. The role of calories in weight loss. How many carbs can you eat and still lose weight? Carbohydrates are a food group including any starches, sugars and fibers. They are made up of carbon, oxygen and hydrogen atoms in the formula C6H12O6, or simply ‘CHO’. Known by most bros as ‘carbs’, this food source is classed as a macronutrient and is one of the three main sources of energy, alongside fats and proteins. When you eat carbohydrate you store it as glucose in your blood or glycogen in your muscles and liver. At any one time, the average weight dude stores around 400 g of carb in their body. At rest, your body prefers to use fats as a primary fuel source. But during intense exercise such as interval workouts and strength training, carbs become more and more important as an energy source. Without them, your workouts might suffer. Complex and simple carbs – what’s the difference? All carbs provide the same amount of energy – 4 kilocalories per gram. However, not all are created equal as your body can digest and absorb some faster than others. These are short chain monosaccharide (sugar) molecules that digest and absorb fast. They taste sweet as soon as they hit your tongue, as the sugars are readily accessible straight away. Simple CHO can affect your blood sugar rapidly and provide energy quickly. Examples: Sugar, corn syrup, fruit and fruit juice, cakes, sports drinks. These types of foods result in a fast insulin spike and are useful as a pre workout ‘pick-me-up’. But they are easy to over-consume. These are the starches and fibers polysaccharides that are made up of lots of saccharide molecules joined together. They don’t result in a rapid spike in insulin, and because of their robust and complicated chain of molecules, complex carbs take longer to break down and digest in the gut. Examples: Fiber-rich foods such as wholemeal bread and pasta, brown rice and root vegetables. The benefit of complex carbs is that because they take time to digest, they help to satiate you for longer, reducing hunger and appetite. They also tend to be higher in natural nutrients, vitamins and minerals and are therefore ‘healthier’. For weight loss, it all comes down to calories. A calorie is a unit of heat energy. In the context of food, we often talk about kilocalories – the amount of energy needed to raise the temperature of one kilogram of water by one degree Celsius. Energy can’t be made or destroyed, only converted. When you eat a carb-rich food, your body digests, absorbs and stores the energy in it, ready to be used at a later date. But if you don’t use that energy up you begin to store more and more in the only place available – your fat cells. When you take more kilocalories into your body than you burn off you achieve an energy surplus. Doing this consistently over time will lead to weight gain. But it also optimizes muscle building potential – an important part of bodybuilding. So calorie surpluses are used a lot during ‘bulking’ season to help build more muscle. In the same way that too many calories in your diet leads to muscle (but also potentially fat/weight gain), restricted calories leads to weight loss. If you take in below ‘maintenance’ each day (the number of calories needed to maintain body mass) you’ll tap into the reservoir of energy stored in your fat cells, and lose fat mass. An energy deficit is when you eat less than your body needs to function each day. Without an energy intake below maintenance, your body doesn’t receive the trigger to release stored energy. In bodybuilding there are two main approaches to weight loss. A ~20% reduction in calories from maintenance will lead to more gradual fat loss. It’s fairly easy to maintain as the deficit is quite small, but the results aren’t as fast. Taking a more aggressive approach and using a deficit of ~40-50% will see the fat literally fall off you. But it’s hard to maintain as you’ll constantly feel hungry. Our client (we’ll call him a bro name like Chad) is 25, has a weight of 200 lb and falls into a ‘moderately active’ category based on that fact that he’s pretty active (trains 3 times per week, plays football once per week and does a whole range of f*ckboi activities that boost his daily activity). Chad has a daily maintenance calorie need of 2,950. To calculate this we just used an online calorie calculator. To work out the Chadmeister’s deficit we need to go all Hawking and calculate a 20% deficit for a weight loss cruise or 40% for an aggressive approach. Bottom line: If you want to lose weight you need to drop your daily calories intake below maintenance. As long as your calorie intake overall is letting you achieve an energy deficit, it kind of doesn’t matter how many carbs for weight loss in bodybuilding. That said, carbs aren’t the priority nutrient for bodybuilders. Protein intake has to be put above anything as a bodybuilder. 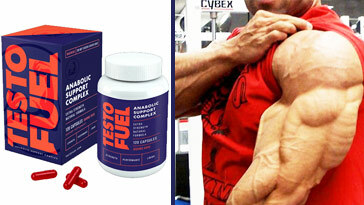 It’s the priority nutrient for elevating muscle protein synthesis, repair, regeneration and recovery. According to current research, bodybuilders should shoot for around 1 gram of protein per lb of body mass. If you’re in a calorie surplus, this optimizes muscle gain. In a deficit it’ll help to preserve muscle mass during a weight cut / deficit. For Chad, that’s 200 g of protein each day. So how many carbs should you eat a day to lose weight? We know that carbs provide 4 kcal per gram. In terms of proteins, they also provide 4 kcal per gram too. Fats give you a higher energy yield at 9 kcal for each gram. We can calculate how many calories Chad has left once protein’s been subtracted by going back to his daily calorie needs. If he goes for the moderate deficit, he has 2,360 kcal to play with each day. Protein has 4 kcal per gram and Chad needs 200 g per day – that’s 800 kcal. Subtract 800 from 2,360 and you’re left with 1,560 kcal. He’ll have even more available calories if he’s in a muscle-building surplus. It’s up to you how you split these remaining calories for carbs and fats. There’s no real hard and fast rule. Some off season bodybuilders who are focusing on a bulk prefer to use more calories from carbs as it gives them energy for hard training. They’ll maybe shoot for 2-2.5 g per pound of body weight to optimize energy so that they can focus on building as much muscle mass as possible. Others prefer to prioritize fats and use the remaining calories for carbs. And the rest can come from fats, which are essential for regulating hormones such as testosterone. Are low carb diets good for bodybuilders? The thing about off-season low carb diets is that they work for some bodybuilders and not others. The fact that you’re taking out a whole food group from your diet means it’s theoretically easier to reach a calorie deficit. But it’s harder to hit a surplus, and provide your body with the energy it needs to work hard in the gym. There’s also the fact that every gram of glycogen stores 3 to 5 grams of water. Many people lose weight within a few days on a low carb diet, purely based on the fact that they’re glycogen depleted. Not that they’ve burned more fat. You need carbs for energy as a bodybuilder. Particularly if you’re smack in the middle of a high-load, high-volume off-season strength phase and need every ounce of energy just to get through your workouts. Low carb means poor performance. Or at least performance that isn’t ‘optimal’ anyway. Glycogen is the primary fuel source for exercise such as weightlifting. And when there’s none around, your body has to find it from fat and/or protein – and that might be okay if you’re focusing entirely on dieting down, but if you’re looking to add muscle you’re walking the wrong path entirely. 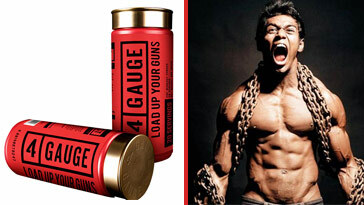 It’ll leave you weak, puny and with absolutely zero muscle pump. Your muscles will lose their fullness and you’ll look flat. There’s one thing for sure. A bodybuilder won’t get away with using a conventional diet if they want to drop down to a dry, shredded and peeled look. Bodybuilding is about trying, trialing and testing every dietary trick possible to stand on that stage and know that you’re in the best physical condition possible. For the past few weeks you’ve been in a good place – bulking season. You’ve been able to eat high and train high, and you’ve started to love life. Although the exact point at which you begin your weight loss cut will depend on your starting body fat levels, most bodybuilders enter their cutting phase around 5-4 months out. You don’t need to change carb intake that much at this stage, just make sure you’re hitting your 20-40% deficit. The whole focus on the diet here is to get lean and shredded. Nothing fancy, just hard work in the gym and a calorie deficit. Keep protein high and modify carb and fat intake to suit your training needs. Around 250-300 g of carbs suits most athletes, and many prefer to get the majority of their carbs from vegetables rather than starchy grains. With less than a month out you’ve lost loads of fat and are looking shredded. If not, it’s time to ditch the prep and think about next year instead as you’ve left it too late. If things have gone well, carb intake has continued to come down in each meal as you focus on depletion. Most bodybuilders restrict carbs to around 1 gram per pound of body weight, although a lot of that has to do with individual tolerance. Some bodybuilders opt for refeeds during the run up to competition day, although they don’t work for everyone (more so if you’ve still got fat to lose). With competition day just around the corner it’s time to optimize your condition by refining how you use carbs as a bodybuilder. This is called ‘peak week’. Protein is kept pretty constant and fats are low in the run up to competition day. It’s carb manipulation that’ll make or break that show-ready physique now. Most bodybuilders load with carbs during the week before a show, in order to fill out their muscles with glycogen. At this stage, you might well be able to take your calories into a surplus and let your muscles swallow up those extra carbs. You’ll also experience the most intense muscle pumps you could ever imagine here too. It’ll help you look full and muscular. It takes practice to know exactly how many carbs your body can handle though. Too little and you’ll still look pretty flat. 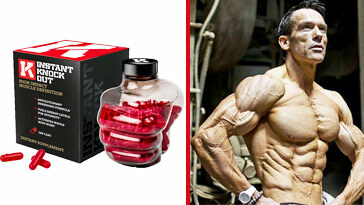 Too many and you’ll ‘spill over’, look watery and lose the muscle striations you’ve worked hard for up to now. Although each bodybuilder has their own way of doing things, front loading carbs 7 days out and then tapering them each day up to competition allows you to make small changes if needed. As an additional note, some bodybuilders use this week to also manipulate things like water and sodium intake. However, just as much can go wrong with this approach, so it’s becoming less and less important.